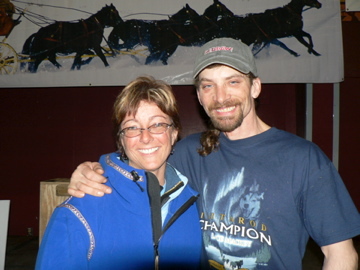 Click here to read the original press release for Kim Slade. View Kim’s lessons and messages at this link. Kim Slade is a math coach and resource teacher at J. A. Thompson Elementary School in Vero Beach, Florida, a quiet beachside community where she has taught at the elementary level for 16 years. She received a degree in Elementary Education from the University of Central Florida and has taught kindergarten, fourth, and fifth grades. Kim has moved from the classroom and now works with all grades, kindergarten through fifth. She is responsible for training teachers at her school, and at the district level, in mathematical integration. Kim is the mother of two and the wife of a firefighter. 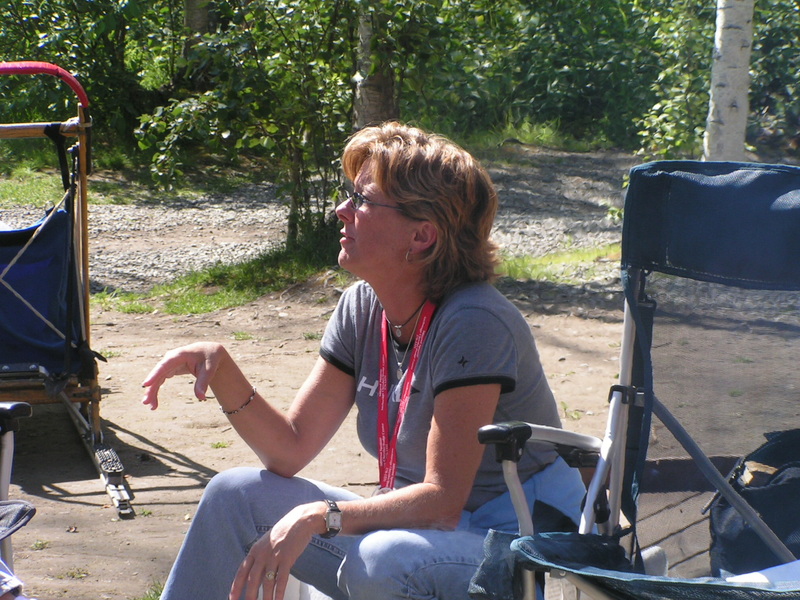 Her interests include spending time with her family, boating, diving, fly fishing, snow skiing, and running. 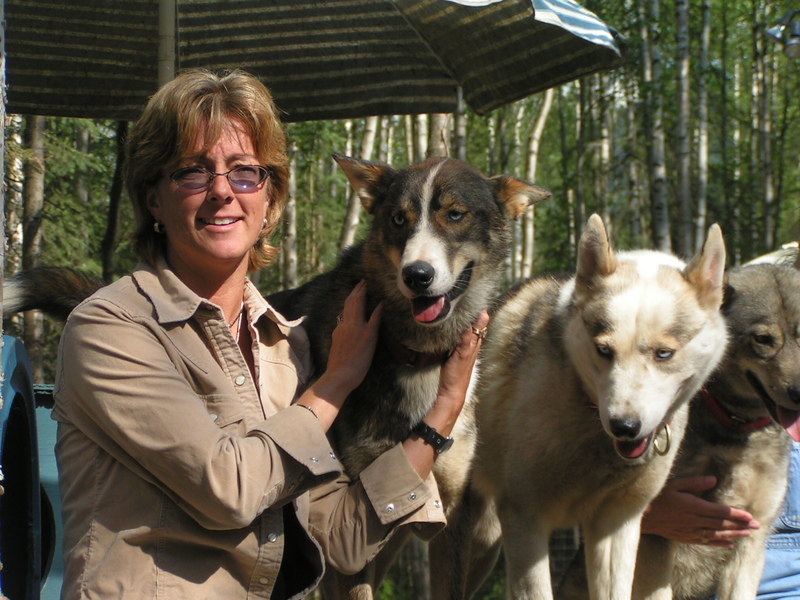 She also enjoys spending time with her four dogs (one of which is an Alaskan husky). 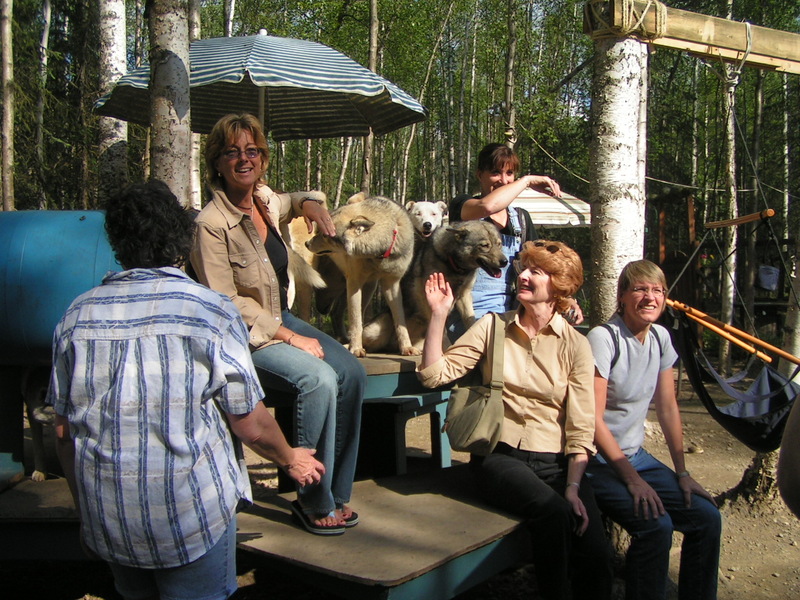 Kim’s interest in the Iditarod was catapulted by the 2005 Summer Iditarod Professional Development Conference for Educators and Fans. “It was by far the most comprehensive conference I have ever attended. 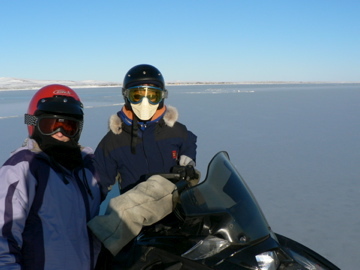 The experiences that were provided have made me a better teacher, not only about the Iditarod, but in the way I approach teaching with students.” Her Alaskan experience has sparked a deeper interest about the race, with children at her school, and in her community. Join Kim, the ninth Wells Fargo Teacher on the Trail™, as she expands the walls of her classroom to include this educational journey of a lifetime! 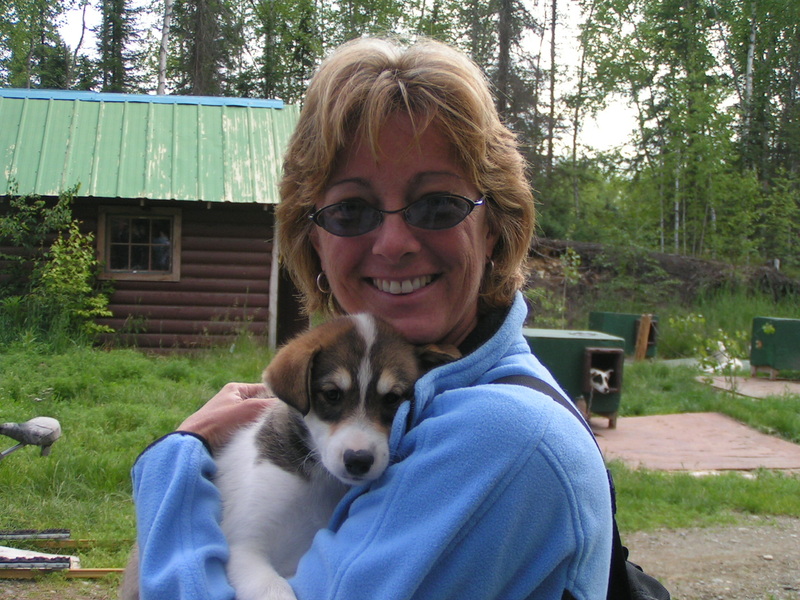 Beginning this fall, Kim will begin placing lessons and a newsletter on www.iditarod.com with a goal ofupdating her lessons several times a month, providing an important resource to educators in all curriculum areas. 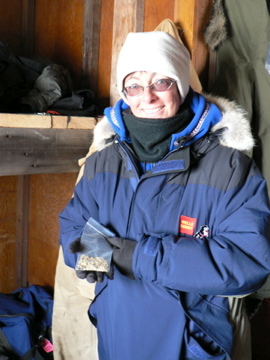 Although Kim’s primary area of instruction is math and science, she uses an integrated or an interdisciplinary curriculum approach to lesson design and delivery of instruction. 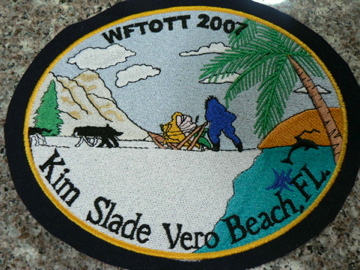 Trading a pair of sandals for mukluks and a Florida beach for the Alaskan tundra, Kim will be traveling with the Iditarod Air Force during the 2007 Iditarod. She will be hosting an online journal during the race highlighting her experiences and providing additional lesson ideas for classrooms. 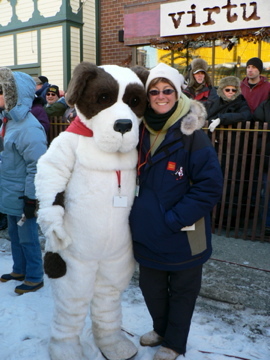 The Wells Fargo Teacher on the Trail program began in 1998, when Andrea Auf Der Heyde, “Finney”, an educator from Indiana, completed the groundwork with Iditarod to create the concept of an official Iditarod Teacher on the Trail. 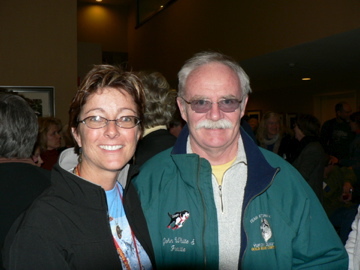 Finney traveled in 1999 as the first Teacher on the Trail. 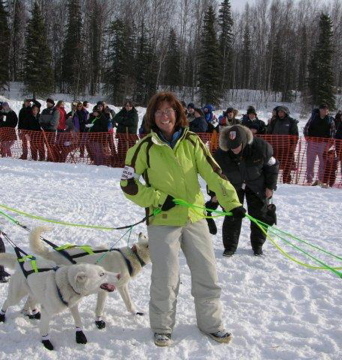 Striving to bring quality Iditarod lessons to students around the globe, a Wells Fargo Teacher on the Trail ™ has been chosen each year since, Kim being the ninth teacher selected. From the eastern coast of the United States— to the western coast, and all states in between and including the Hawaiian Islands, thousands of students have discovered that they are connected by the Last Great Race®, a common thread, to students in Alaska. 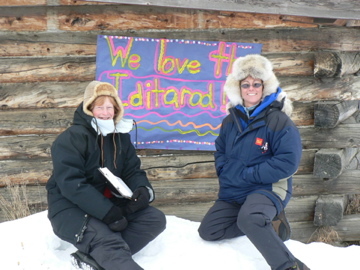 Classrooms in Canada, South America, Australia, Iceland, and Europe follow the race and complete activities that are found at www.iditarod.com. 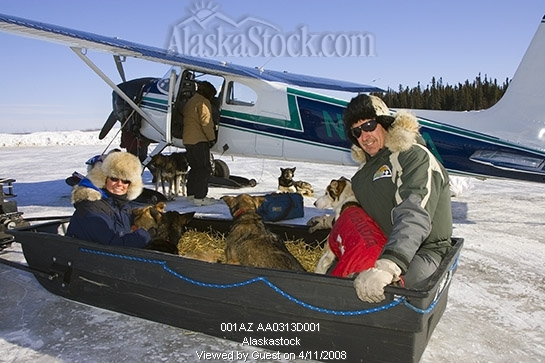 Iditarod is not just for mushers any more. 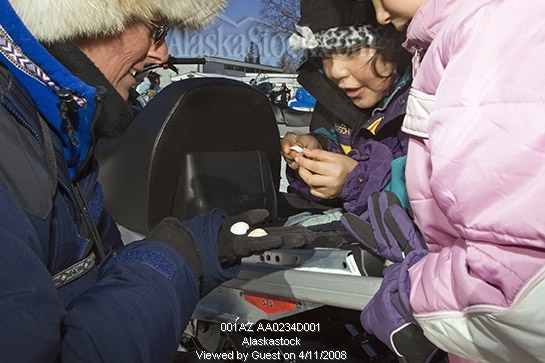 It is an educational tool, creating thousands of new race fans each year as educators agree that by using Iditarod as a theme in the classroom, students are on the ‘trail’ to academic success. 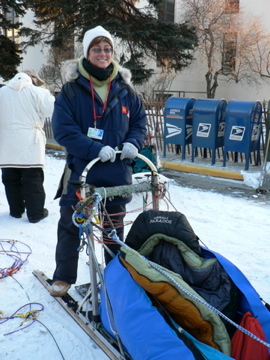 Follow Iditarod’s 2007 Wells Fargo Teacher on the Trail™ Kim Slade at www.iditarod.com and experience the race with classrooms around the world as they learn from her first hand experiences recorded in her on line journal and as they complete the curriculum activities Kim creates. 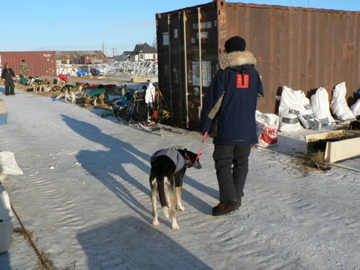 View a video of Kim on the Iditarod Trail at this link.